THE WORD IS OUT that Kansas City’s food, music, and beauty rival those of any other city in the nation. As KC increasingly draws in bigger crowds, it feels even sweeter to find those hidden places that aren’t the same hotspots everyone else knows about — places off the beaten path that offer up something a little different and make you feel at home, whether you’re a local or not. Kansas City has many such spots, and even those whose names are growing still maintain their sense of adventure. Here are nine places that will draw you in — and make you not only feel like a local, but maybe wish you were one, too. Even the act of getting into Manifesto will make you feel in on the secret. This speakeasy-style bar, in the basement of The Rieger, is accessed via a back-alley entrance that you absolutely have to know how to find. Once you do, you can slip into the dark, intimate atmosphere that comes with low lighting and good booze. Pro tip: make a reservation via text (a bit of a requirement these days) and then leave your phone in your pocket — they didn’t exist back in the Prohibition days, so don’t ruin it, okay? The menu’s peppered with “classics,” “seasonal innovations,” and “shooters,” so ordering options are plentiful and you really can’t go wrong. That said, anything featuring local J. Rieger & Co. Kansas City Whiskey is a good choice. 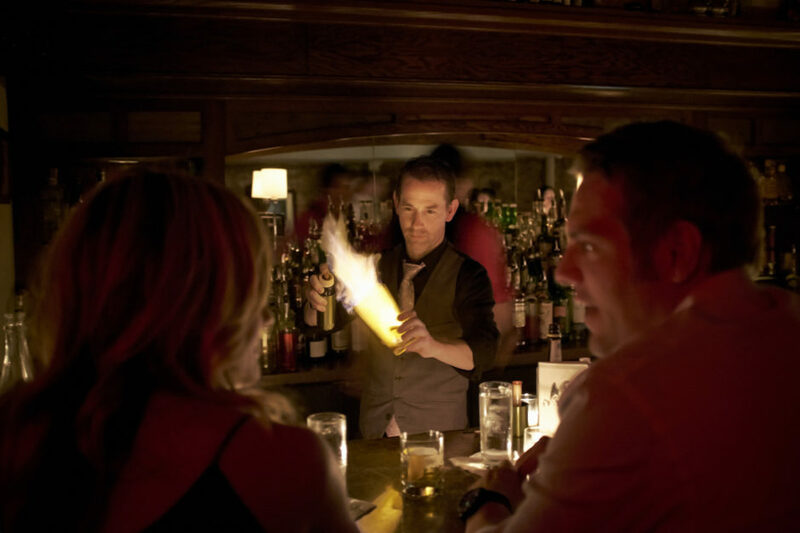 An additional tip: Sit by the bar to watch the magic in action. There’s no shortage of incredible music in KC. The gamut runs from grunge to hip-hop to opera, and live music can be found across the city every night of the week. But since you’re in town, try to learn #HowWeDoKC. The true musical soul of the city belongs to jazz. Mutual Musicians Foundation, or MMF, is in one of the oldest, most historical venues in the city. If you can only experience music at one place, make it here. Right in the heart of the 18th & Vine Historic Jazz District, MMF is tucked into an old, nondescript building you wouldn’t even notice save for the music notes painted on the exterior. Walking in, the pictures of famed jazz musicians lining the walls help you know you’ve come to the right place. Arrive after midnight on a Friday or Saturday to hear after-hours jam sessions from musicians who’ve been honing their craft here for decades. If the music alone isn’t enough to warrant a late-night excursion, MMF is also a national historic landmark. 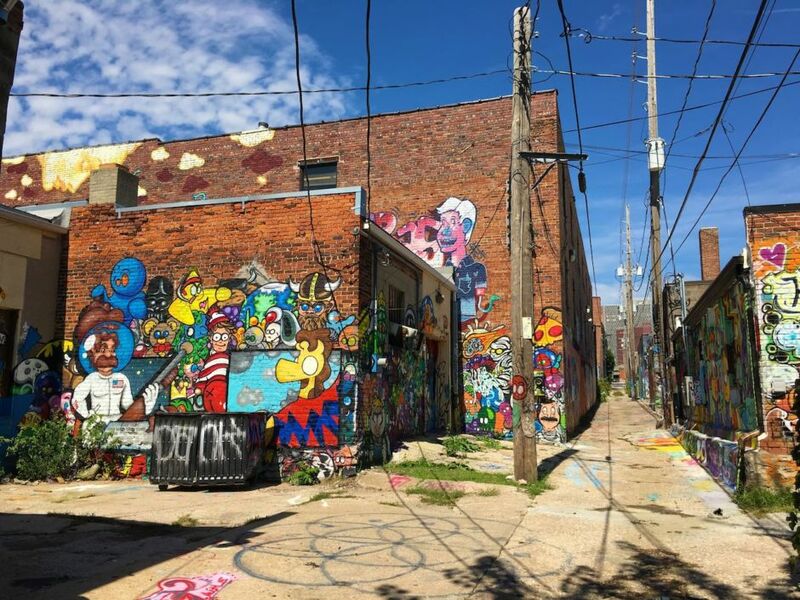 One of the most Instagrammable secret spots in KC, Art Alley can be found in the Crossroads Arts District, specifically on 17th and 18th Streets near Locust and Cherry. It serves as an outdoor art venue where the beauty of the work and the chaos of its creation collide. The walls show off the work of some of the city’s best street and graffiti artists and, more recently, others from around the country and even the world. If you’re lucky, a casual stroll through the Crossroads could turn into a live show of an artist at work. The best part: You’ll never visit the same Art Alley twice. Because so many artists work at any given time, you never know what you’ll see. One week a mural appears; by the next, it’s been replaced with something totally new. This place — found in Weston, just outside KC — takes the “underground” scene to a whole new level (or three). 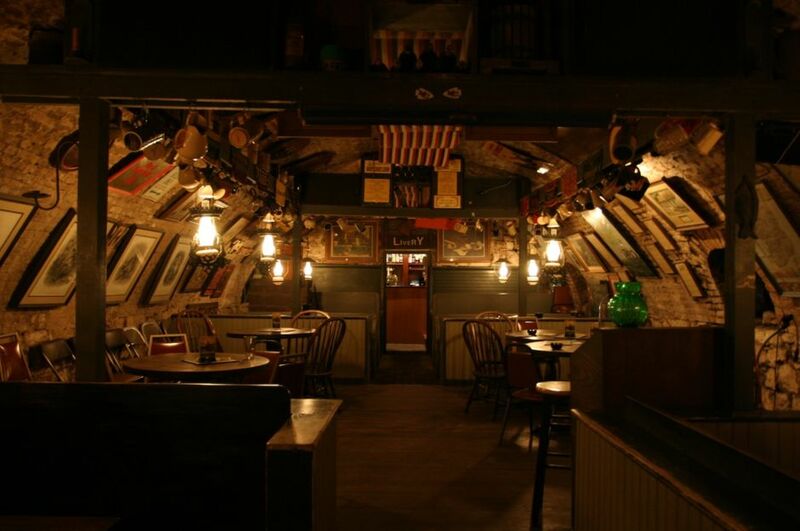 There are three different floors within O’Malley’s, each sinking farther below ground. Upstairs, you can get your fix of bangers and corned beef before heading down the stairs and tunnels into the two lower, more cavernous levels. Once you’re all the way down, you’re transported back to the 19th century. The cellars were dug in the 1840s and were used to lager and chill beer from Weston Brewing Company, one of the first lager breweries in the United States. For $5 on Saturdays, you can learn the whole history — and see a secret fourth cellar — during a brewery tour. The drinks are strong and rich — even their root beer float should come with a warning — and the music is loud. Most of the performances here are not only solidly good, they’re also really fun. The performers will toast to the crowd, and by the end of the night you’ll be feeling like a KC local. The first thing that most people think of when talking about the KC Public Library is the Community Bookshelf, a wall of the Central Branch library’s parking garage made to look like the spines of huge books. But after staring at the Community Bookshelf and contemplating why you haven’t added all of the actual books to your various reading lists, you should make your way up onto the library’s rooftop terrace. During the day, this is a great place to read, hang out, or take on the larger-than-life-size chess set. 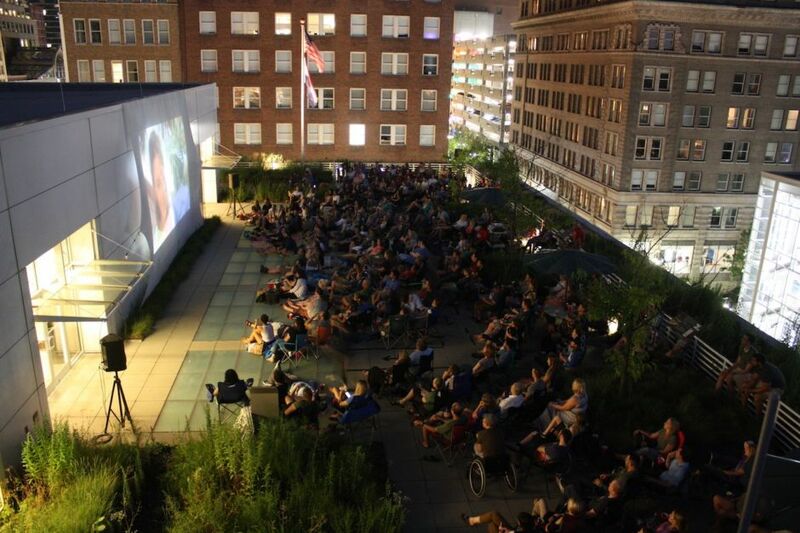 In the evenings, events like yoga on the rooftop and the Off-the-Wall Film Series keep the library at the center of the action. Film screenings are held on the second Friday of the month from May through September, and each series is loosely structured around a literary theme. 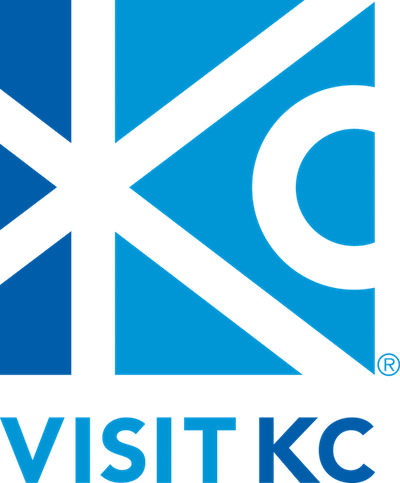 Not only is the movie free, but the library partners with Kansas City Bier Company to provide samples — and there’s free popcorn. The rooftop terrace views are beautiful, the lights at night especially awesome. The entire experience is almost too good to be true — or at least too good to be free. Lining up outside Fervere on the Westside on a Saturday, eagerly awaiting 6 p.m., has become a summer highlight for everyone in the know. The cheese slipper — hot cheese bread that comes topped with local farmers’ market ingredients — is one of their most popular items. The doors open at 6, but people show up to wait as much as an hour beforehand. When you finally funnel single-file into the little shop, make sure to order one of every kind of cheese slipper. If you try and circle back for seconds (and we guarantee you’ll want to), they’ll be long, long gone. “The Test Kitchen is not a cooking class but a secret dining society.” Don’t pretend you’re not already hooked. Who doesn’t want to be part of a secret society where the primary activity is eating?! The Test Kitchen is open to anyone, but getting in isn’t guaranteed. 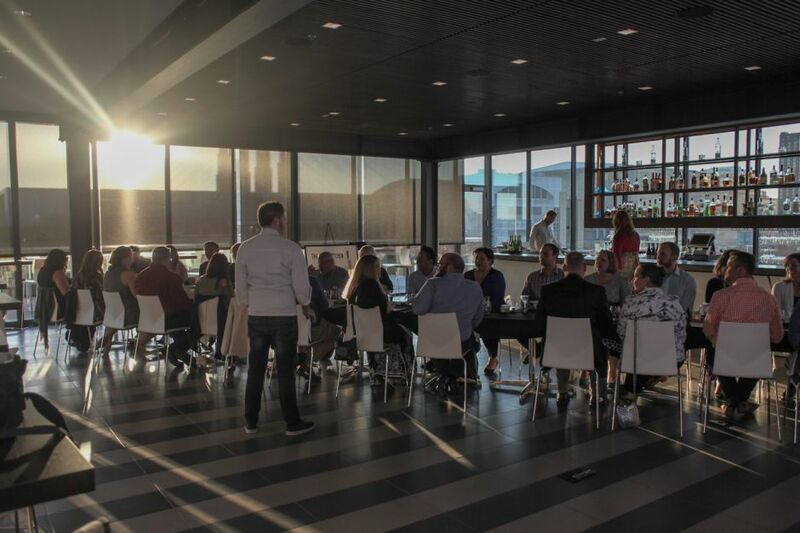 You first need to fill out a form to get on a mailing list; from there, you’ll receive information about the time and date of an upcoming Test Kitchen dinner. After that, you’ll have to enter yourself into a randomized lottery, and just 20 lucky diners will be selected. Patience, my friend. Patience. If you are one of the lucky few, you’re in for an amazing meal conjured up by the creative genius of one of The Test Kitchen’s partner chefs. Your meal will be served somewhere secretive, too — like in a historic building or a chic, rustic barn. I recommend you throw your name into the lottery immediately. Thou Mayest derives its name from a famed passage in John Steinbeck’s East of Eden, citing that “the way is open” to choose your own path. Literary nerds or not, those at Thou Mayest embody this meaning in all they do, from their creative approach to coffee to their promotion of entrepreneurial opportunities and their love for the neighborhood. 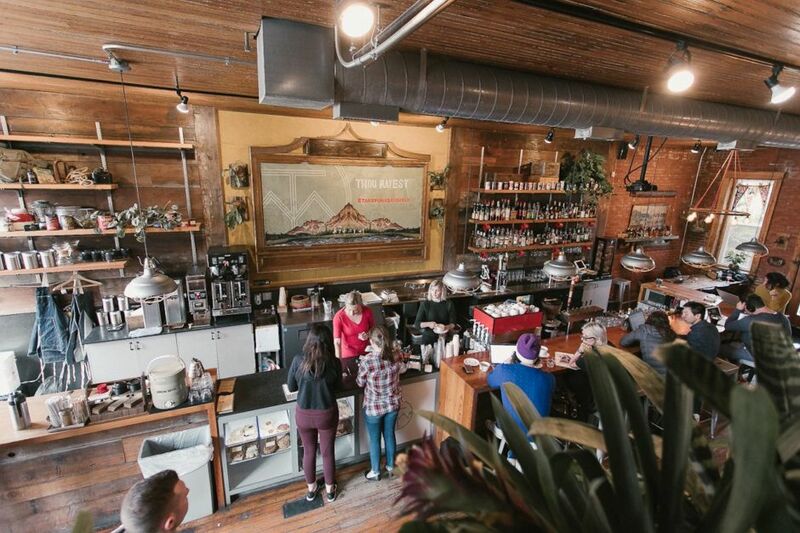 Within the little shop, you’ll find warm wooden walls and tables, plenty of greenery, and lounge chairs and couches upstairs for taking it easy. But the best part, by far, is the patio out back — a total urban oasis, the epitome of a quiet reprieve tucked inside the city. In terms of drinks, you can’t go wrong, but we definitely recommend a cup of their cold brew. Depending on the time of day (or not, up to you), consider adding a shot of Caffé Amaro to your drink — the liqueur was created in a collaboration between Thou Mayest and J. Rieger & Co. As if things couldn’t get better, Thou Mayest turns into a cocktail bar at night. You could (and maybe should) stay there all day. RecordBar has relocated and reopened in the Crossroads. Despite the location change, the emphasis on bringing talented bands to KC makes this venue one of the best places in the city for hard-up music junkies. The new space has a bigger stage and excellent acoustics, which means this is a legitimately fantastic place to listen to national acts and local artists alike. For more crowded shows, there’s an upper level balcony to ensure good views of the bands for everyone, no pricey tickets needed. And as always at RecordBar: Eat. Hear.